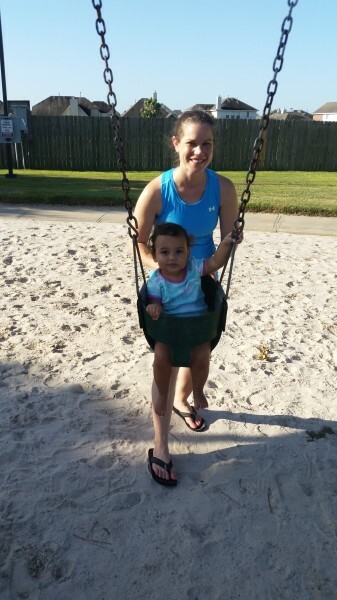 Before it got too scorching hot this weekend, we took a family walk to the playground and let Logan enjoy the swings. 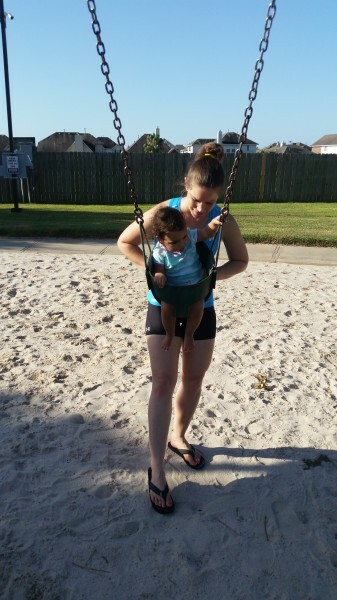 (Excuse my workout gear, I took Riley for a run before Logan woke up.) Logan is still in her pj’s becuase although this was around 8am, it was already 85 degrees and we didn’t want to take any time to change her clothes. She made sure to hang on well. This swining at the park is fun stuff, Momma. I wonder if next time we go to the park she will be walking. She’s getting more brave by the day, but we know she will take her first steps when she is ready. It looks hot! 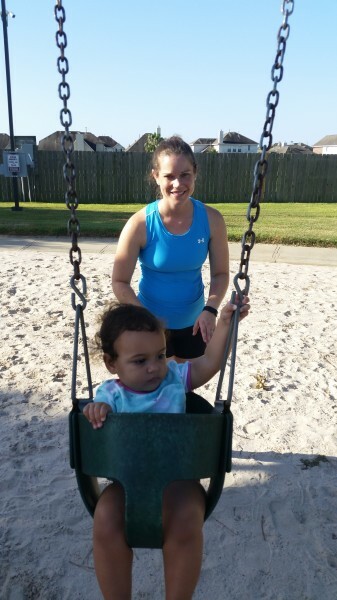 Glad she had fun..and liked the swing more than B!